What did Roman cities look and feel like? We spoke to Jill Sornson Kurtz, a professional architect with a particular interest in designing sustainable buildings for everyday life, on her work as a Christian in the building industry today. Greg Forster is director of the Oikonomia Network at the Center for Transformational Churches, Trinity International University. These reflections on Christians and culture are adapted from a blog series at The Green Room. 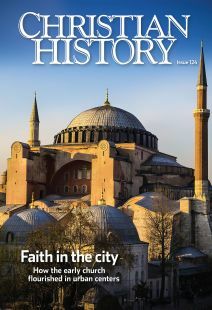 Here are some recommendations from CH editorial staff and this issue’s authors to help you understand the early church as an urban movement.